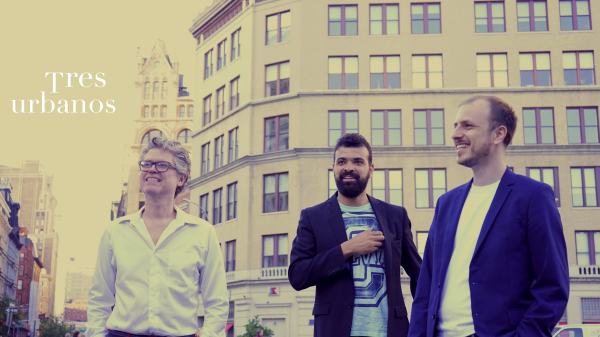 Tres Urbanos is a music group formed by bass player Itaiguara Brandao, acoustic guitar player Wesley Amorim, and Samuel Martinelli. The group focus is develop and perform a repertoire based on main Brazilian Music genres like Bossa Nova, Samba, Baio, Choro, other styles, and own compositions. The project started at the end of 2016 and the group has been playing in music venues and events around NYC area. Brazilian Clef is a Brazilian Music Masterclass and Performance project. The project consists in performances with an educational approach, presenting the history of Brazilian Music, its main composers and musicians, its relation with Jazz, giving students and audience the opportunity to play and discuss about it. The project started in 2016 with as an elective class at Litchfield Jazz Camp with a performance by the students at the end of a week of classes. The project has been featured at Litchifield Jazz camp ever since. It is also bee feautures at Queens College for the Jazz Master Degree students since 2017.